The ULTIMA series consisted of 9 main games released from 1981 to 1999 and was an extremely influential Computer RPG series that is still remembered fondly today. Metal Jesus & Carlos cover the 3 Ages or Trilogies as well as some of the side games and even the MMORPG. It’s a fun trip down memory lane as we reminisce about why the Ultima series was one of our all-time favorites! ​Anybody else excited for the upcoming reboot: Shroud of the Avatar by Richard Garriott? 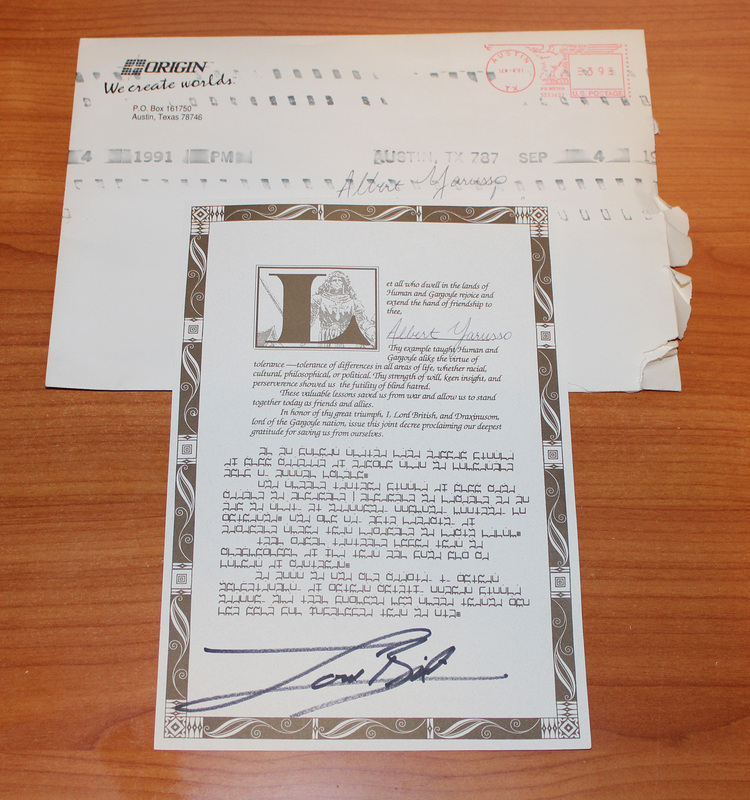 I am a HUGE fan of the Ultima games, and I contributed...substantially to the Shroud of the Avatar Kickstarter. So, that would be a yes. I contributed to Shroud of the Avatar too, but have yet to invest much time in the pre-release version. I think I'll probably wait until they declare it 1.0. 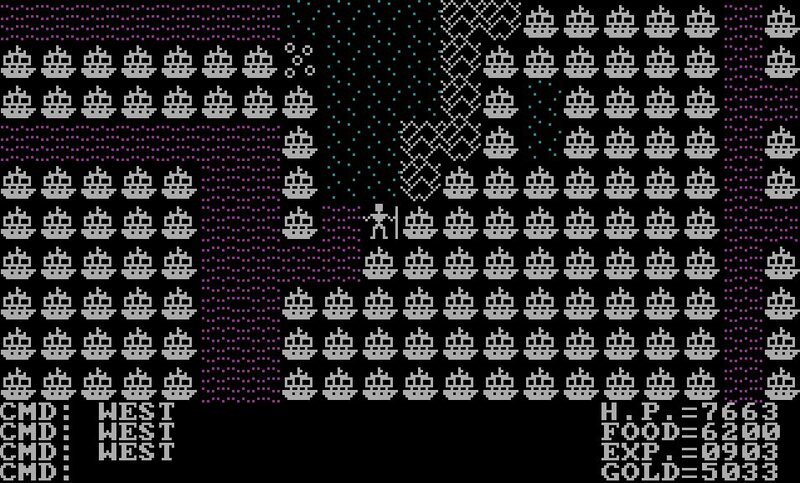 Ultima IV remains my white whale... I cannot seem to master all the virtues. I think I played it for 50-60 hours at one point... Learned the moon gates pretty well, found my way around the world and such... But life got in the way and I was unable to complete the quest. One day I will. Loved the episode! Please keep doing more episodes like that one! That's awesome that they're making another Ultima-style game! I love all of them, Akalabeth and 1-5 on the Apple II, 6-8 and Underworld on the IBM, etc. I hope the game turns out good. Also, nice video. Great video and not too long. I wanted even more. Being an adult is hard because it means I'll probably never have time to go back and play the CRPGs that I missed over the past 30 years - BUT now I finally have the patience to understand them and the money to buy them.
. . . sound and fury . . . It is CRAZY looking at your shelf in the background... I'm having major flashbacks to my childhood. I see Adventures of Willy Beamish, Space Quest IV or 5 with Roger Wilco, Earth Siege, Leisure Suit Larry, Interstate 76, System Shock... and... how could I miss your collection of AD&D Gold Box Series games!!! I'd love to see a video on the AD&D gold box games. I'm embarrassed to admit... but I had every Ultima Game... complete in the box. I kept ALL the boxes... all the way from Ultima 1 (not Akalabeth), through Ultima 8 (never got 9), including Underworld 1 and Underworld 2... 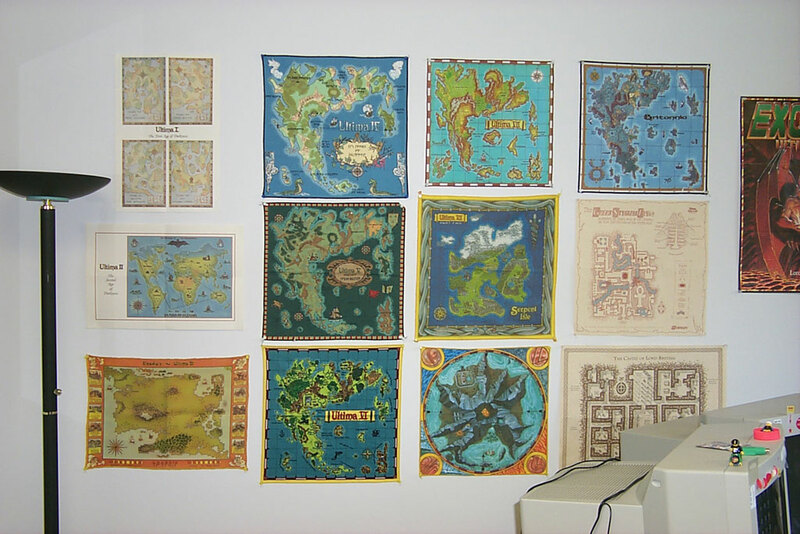 I had the cloth maps, coins, etc... along with ALL the Sierra game boxes... you name it. I tossed them ALL out about 10 years ago. I saved all the disks, CDs, and manuals... but got rid of all of the boxes. Just crushed them... they were all pristine. The ONLY computer game boxes I kept... were my AD&D Gold Box Series game boxes. I still have all the originals. Hillsfar, Dragons of Flame and Heroes of the Lance (silver box games), as well as Pools of Radiance / Curse of the Azure Bonds / Secret of the Silver Blades / Pools of Darkness, and then Gateway to the Savage Frontier / Treasures of the Savage Frontier, and then finally Champions of Krynn, Death Knights of Krynn, Dark Queen of Krynn. Anyway, love the video. Would have liked to have seen mention of Ultima 7 - Part 2 (which really was a whole different game), plus the Silver Seed and Forge of Virtue add-ons. But the video was great! Side note, they also had Ultima 7 - The Black Gate, for the Super Nintendo... and it is absolutely horrendous. I bought that along with Wing Commander 1 and Wing Commander 2 on the SNES also. Ultima 3 / 4 / 5 are actually really awesome on the NES (at least in my opinion), because they play like Dragon Warrior. Ultima was tough for me to get into prior to Ultima 6. 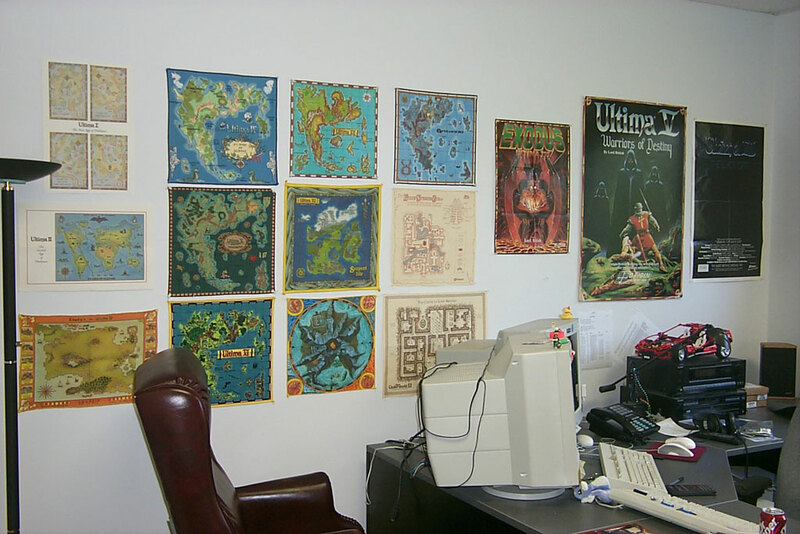 Ultima 6 really drew me in... but I went back and played 4 and 5 on the PC back in the day. Edited by 82-T/A, Fri Jul 17, 2015 8:11 PM. Pretty much everything on the first five shelves is Ultima related in some fashion. Also, one of the walls in my office in a galaxy far, far away..
That is impressive, to say the least. By the way, I think I still have the original Beta Testers CD for Ultima Online. Do you want it? I really have no use for it. I'm not inclined to give it away, but seeing as how you basically have everything Ultima known to man-kind... I'd be happy to give it to you if you wanted it. What is that small Pagan looking box next to Silver Seed and Forge of Virtue? 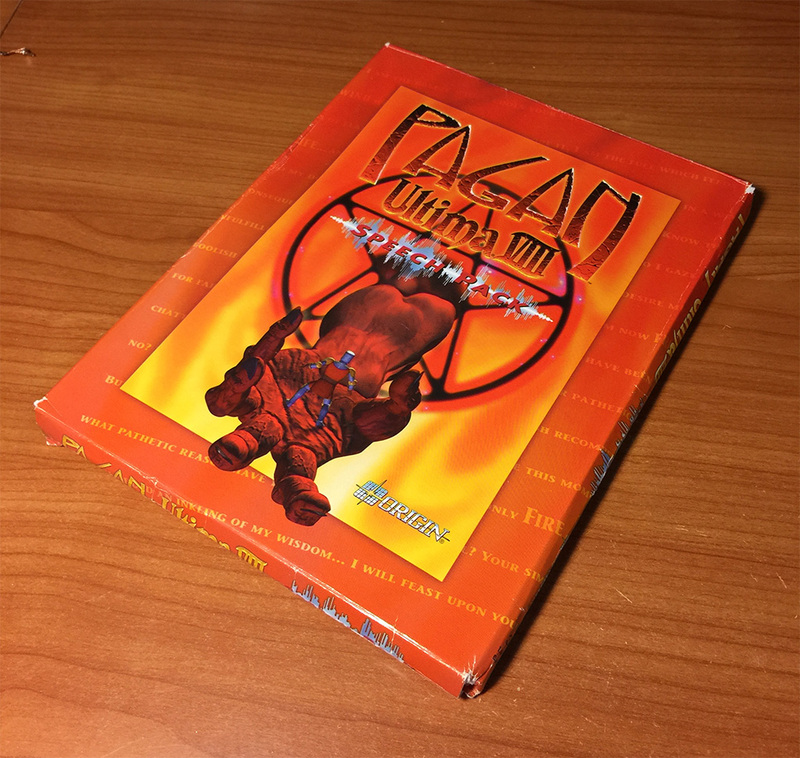 Was that an expansion pack for Ultima 8? I always wondered on how many copies are out there. Edited by high voltage, Sat Jul 18, 2015 11:49 AM. I still love the Ultima games and in my opinion they are the best CRPGs along with the Gold box games from SSI. Regards shroud of the avatar I'm a bit sceptical. On one side I'm pretty excited, but on the other hand I don't like the fact that you are constantly online and pay a monthly fee for it. But maybe this was already changed..
Those are two of my favorite PC games. Both of them nearly made me poop my pants at least once while playing them for the first time. Definitely interested, that would be awesome! I appreciate the offer. I need a better copy, since this box is a bit crushed. I definitely liked System Shock 1... it was... generational to me, for lack of a better word. That, and Ultima Underworld II was also just amazing. System Shock 2 had as much of an impact on me as the first System Shock did also. I had a decent graphics card at the time it came out, so I got the smoke / fog, the lighting effects, etc. I also had a decent stereo and sound card too. The guy that comes at you with the pipe in the beginning, and the ghost... nearly gave me a heart attack... it was something else. Ok, just checked... still have it. I'll shoot you a PM. System Shock was pretty amazing when it came out -- immersive 3D games of this nature were still relatively new, and Looking Glass really pushed the boundaries with System Shock. As well as Ultima Underworld I and II, which I both greatly enjoyed. I loved their games so much I eventually managed to land a job there as a programmer.